I’m not talking about just any first sentence like those that begin a new chapter – though I personally believe the first and last sentence of every chapter should be grand and enticing. That’s for another post. I’m talking about the very first sentence of a book. …what if one sentence was all you had? For the sake of ‘research’, my sister, Elizabeth, and I took a trip to Barnes and Noble this week. We spent around 3 hours perusing through several different genres. Based on the covers – since we know that a lot of readers tend to pick up or ignore books based on their covers – we methodically picked 4 books from each genre and wrote down their first sentence (some were covers we liked, others not so much). We even made it a point to not read the back cover blurbs until after we read the first sentence (I know, a little backwards, but a lot of fun). So let’s take a look at these first sentences, shall we? *Note: Each first sentence will be followed by the first comment that was made by either Elizabeth or myself. **Note: These were our opinions as readers. They’re not intended to offend any of the wonderful authors or their work. I bet you can guess which books I *may* have walked out with that night or added to my TBR list, huh? First sentences are important. There was a chance for me, as a reader, to buy – or add to my TBR list – 28 books. Instead, I only decided upon 15. It makes me wonder if some of those first sentences that failed to intrigue were the original first sentences that kicked off the first draft? Concentrate on finishing the story and editing and polishing it up FIRST. Once the story’s written: Put it on a shelf for a bit then you can go forth and do some editing. Sometime during the editing process, first lines will flow through your brain. I can almost guarantee it! At times, the first sentence will come to you the moment you finished the first draft! Take the idea of your first sentence and sit on it for a few days. If several possibilities popped into your head, write them all down then come back to them every once in a while over the course of a few days. Remember: the best possible first sentence for your story takes time. Let is stew while you enjoy a new book or something. Why do that? Because you want to make sure you don’t fly a bunch of people over to Jurassic Park and promise they’ll *see* dinosaurs only to either have the exhibits pull a no-show on you or have your guests eaten alive by the carnivores. You want a happy medium in your first sentence that will entice and deliver. Take that fabulously awesome first sentence and build it into the beginning of your MS. Re-work the first chapter if needed. Re-writing is *almost* as fun as writing that first draft (for me it’s a little more fun than editing also). Crack open a book on your shelf – doesn’t matter if you’ve read it or not – and leave a comment that includes the title, author, the first sentence of that book, your name and your email address. 1. How important is the first sentence to you? 2. Does your purchasing a book hinge on that first sentence OR is it a combo of the back cover blurb and the first sentence (or the first page)? 3. If you’re a writer, what is your process for writing and/or selecting the perfect first sentence? *You must have at least listed a book title, the author, the first sentence and your email address in order to be entered. You can also specify which book you would *prefer* to receive. Two winners will be selected by drawing names out of a hat – yeah, we’re goin’ old school on this one – and announced in next Thursday’s post (8/18/11). Happy Reading and Writing Everyone!!!! “The Week of the Writer” is Headin’ This Way!!! 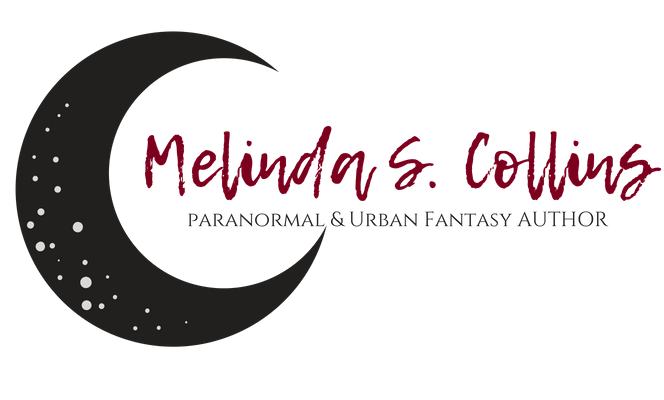 By Melinda CollinsIn The Write StuffTagged #MyWANA, First Sentence, giveaway, writing8 Comments on First Sentences……And a Giveaway! Previous Previous post: This Week In Favs………. Next Next post: This Week In Favs………. I enjoyed reading the various first sentences you listed. Without making anyone feel bad, I can see how some would grab the reader’s attention much quicker. I woke up to the smell of Lysol and the end of the world. I love this first sentence (which is why this book is at the top of my scary TBR pile) and I can’t wait to read more. However, I don’t generally pick books based on first sentences. I look more for an intriguing premise and then check a sample (usually the first page) to make sure the writing is up to snuff. And I’d pick “Marked” because I already have “Hunger Games” (haven’t read it yet because of that TBR pile, but I know it’s around here somewhere 🙂 ). Thanks! OMG I love this sooo much! Ok…the book I chose was one that I bought simply because of the first line alone. A friend had recommended it but I was skeptical…it was about faeries…but then I picked it up at a bookstore & read that first sentence. First Line: My philosophy is pretty simple – any day nobody’s trying to kill me is a good day in my opinion. 1. The first sentence is extremely important. It needs to hook me. 2. The first sentence is usually how I gauge whether to buy a book or not, unless I know the author or have read rave reviews. The cover draws my attention to a book I’m unfamiliar with, then first line either makes or breaks the deal. 3.In my writing, I try to craft a first line that makes the reader say, “OMG. Why?” If a writer can make the reader question (why, what, where, how)in the first line, then the reader already wants to read further because they want more information. And…I already own both books 🙂 But this was fun! First line: A sealed envelope is an enigma containing further enigmas. 1. The first sentence is kind of important to me as a reader. If it is boring and my time is limited, it may mean grabbing the next book in my pile. 2. I’m a back of the book girl when it comes to purchasing. I rarely read the first sentence until the book makes it home. 3. I like to keep the first sentence brief and not too flowery. And I like it to leave the reader asking something. That is some wonderful research you did and so nice to be able to look at that many opening sentences all in one place! Amber: LOL! We had a blast doing this research. Great post! I did this once (though I think I looked at first paragraphs instead: http://www.suite101.com/content/beginning-a-story-a95353). I just finished reading a biography, and I found myself looking at the very first sentence twice. After all, when you pick up a biography, you already have an idea about the person you are going to read about, so how do you start such a biography in a fresh way? In this case, Mark Horne began his biography of J.R.R. Tolkien by saying, “The first nightmarishly large spider Tolkien ever encountered was not imaginary, but a real creature of the African wild.” Bravo! Gives us some action, makes us think of Tolkien’s books, and makes us curious — why Africa? Wasn’t Tolkien a British author? So I thought that was a great start for a biography about a very popular, well-known writer (who’s already had lots of biographies written about him). That is a GREAT first sentence to a J.R.R. Tolkien biography! Definitely makes you start thinking and leaves you wanting to know more!